By focusing on staff competency and training, UNC Charlotte was able to become more effective and evolve as an organization. The following email Q&A is with Kendra Cooks, controller at The University of North Carolina (UNC) at Charlotte. As public higher education institutions grow and expand, even as their available resources and operational budgets shrink, operational efficiency has become a top-of-mind focus for administrators. UNC Charlotte looked to achieve efficiencies by finding ways for staff to become more effective. In this Q&A, Cooks reflects on the impact of that experience and discusses the importance of improved efficiency to the success of the modern postsecondary institution. 1. What impact does staff competency have on operational efficiency at a higher education institution? Staff competency has a direct linkage to operational efficiency, regardless of industry. It’s staff planning, preparation and execution that yields the efficiency gains sought by managers and executive leadership. Unlike other industries, colleges and universities serve multiple constituents that have overlapping, and at times competing, needs. 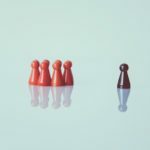 Though many critics of higher education’s collaborative management model demand more business-like methods and decision making, others require that it operates as a charitable organization for the good of society. It’s this dichotomy that provides the challenges and rewards in managing higher education institutions. 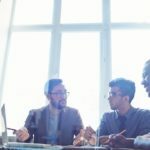 To navigate this complexity, staff must be savvy of the environment, of business methods, of strategic objectives, and have a strong, analytical ability to clearly define all required elements of a solid business process to ensure compliance is a core building block in the architecture of the process. Developing, defining and refining business processes to ensure business needs are met efficiently requires a keen understanding and view of each process across the organization. ‘Silo’ mentality and ‘that’s the way we’ve always done it’ philosophies don’t make the grade in the classroom, nor on the business side of the organization. At UNC Charlotte, key leaders understood the need to equip staff with skills and tools related to the definition of effective business processes, documentation of those processes and identification of improvements along the way to ensure streamlined, customer-focused delivery of service. In 2007, 44 staff were trained in business process analysis to direct change management efforts across campus. Equipping staff with advanced analytical techniques led to effective results for the institution, including refined business processes, documented guidance to campus customers and development of key training programs for business managers and other partners across campus. 2. How do operational efficiency and streamlined processes impact the student experience? Colleges and universities’ core mission is the education of their students. Any positive efforts that simplify our students’ interaction with academic and administrative functions positively impact that experience. UNC Charlotte has implemented a number of initiatives to simplify our students’ interface with the organization, including strategically co-locating service units like the registrar’s office, financial aid and student accounts; developing easy-to-navigate web presence through our content management project; developing straightforward policies using plain language; improving online services for advising, payment and electronic disbursements of financial aid funds; and developing needed services such as a book advance program to improve students’ preparation for the financial aspects of the college experience. University leaders were increasingly concerned about student performance particularly in light of budget cuts in an environment of increasing enrollment and diversification of our student population. The Student Success Working Group (SSWG) was formed in 2011 to identify key initiatives to improve student success at UNC Charlotte. The philosophy of the SSWG is intertwined with that of its Quality Enhancement Program’s (QEP) student learning outcomes, designed to ensure academic and individual success. We continue to focus on improvements to all aspects of the student experience. The University has implemented targeted programs, such as the Levine Scholars to promote scholarship, ethical leadership and civic engagement; an Early College High School program to improve the local pipeline for engineering students; and the Passport program to facilitate ease of transfer into higher education. The University has focused on meeting the financial needs of our students through the deployment of a Scholarship Office chartered to identify and support funding, which is complemented by our first financial literacy program. 3. A few years ago, UNC Charlotte engaged in a project to train managers to implement effective process improvements, helping to streamline UNC Charlotte’s back-end. What were the changes that came about as a result of this transformation? Executive leadership in business affairs spearheaded training efforts for staff to implement process improvements. Partnering with the continuing education department, a business process analysis program was leveraged to provide the training and tools needed for our managers. Six committees comprised of 44 faculty and staff participated in the inaugural process improvement project focused on payments made by the university by category — vendors, employees, students, grants and contracts, non-residents (for tax purposes) and capital/project design. Staff completed training and worked collaboratively within their assigned teams to document as-is business processes, perform gap analyses, conduct assessments and develop new processes and recommendations. 4. Ultimately, how has the institution benefitted from this transformation of staff roles? UNC Charlotte is a young, vibrant organization growing in tandem with the city of Charlotte. To meet the educational needs of the region, resources have understandably been initially focused on the educational mission to deliver needed services to our students. With growth came the increasing complexity of managing the state’s urban research institution within a very lean administrative infrastructure. 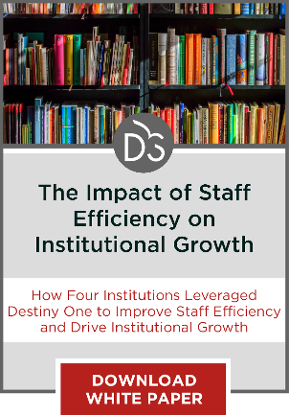 In 2008, thoughtful university planning and strategic funding provided sorely needed staffing resources for administration that were largely redirected to meet the challenges of the economic downturn that subsequently followed. Many areas of the university are staffed administratively at levels that existed for our 8,000-student population, even though we have grown to our current 27,000-student population environment. For UNC Charlotte, operational efficiency is a strategic imperative to meet increased demands for our services while managing the increased complexity of the fastest growing campus in the UNC system. UNC Charlotte and the UNC system have been involved in a number of strategic initiatives to improve operational performance and chart ways to attain the educational goals of the state. UNC Charlotte is uniquely positioned to deliver on these goals and accounted for 48 percent of the growth in the system since 2008. The institution has clearly benefited from the transformation of staff roles as it relates to a continued focus on operational efficiency. A mindset of continuous improvement is in place and must be for our staff to meet increasing demands of our growing organization within current staffing levels. Additional projects have been conducted with the same operational improvement philosophies and means to leverage technology whenever possible are consistently sought. Additional projects underway will focus on streamlining administrative processes in research to support growth goals, refining our processes to support our new football program as it enters into Conference USA, and completing our IT master plan, which will be instrumental in driving additional operational efficiency throughout campus. For an administratively lean campus — with one of the highest student-to-full time employee ratios in our system — when you use the term ‘more with less,’ UNC Charlotte knows exactly what that means. Operational efficiency is our way of meeting the increasing demands for our exceptional academic programs with existing faculty and staff without losing quality. UNC Charlotte identified student success as its number one priority, and has geared all business improvement processes toward accomplishing that goal. Without operational efficiency and high levels of staff competency, the institution couldn’t meet the increased demand for service. Additionally, without focusing on efficiency, the institution would not be able to evolve into a highly-complex organization. For me, the key takeaway is the need to make thoughtful decisions at each phase of the transformation process. 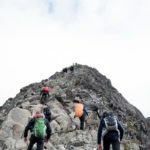 Of course, the ‘master plan’ helps keep the institution on track for reorganization, but there are mini-plans at each interval that come with their own challenges, opportunities and stakeholders. Taking the time to consider what they are and to chart a strategy for each will ensure the smoothest implementation possible. There’s a lot of information here about ways to handle this that I still need to digest. Kudos to Cooks for taking us step-by-step through UNC Charlotte’s reorganization.